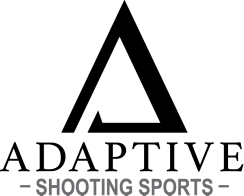 At Adaptive Shooting Sports we understand that purchasing a firearm is a significant and often expensive decision. That’s why our industry leading customer-centric focus ensures that you leave our store extremely satisfied, with the perfect firearm for your ability, budget, and personal preference. From the sale of new and pre-owned firearms, ammunition, accessories, FFL and Gunsmithing services, and extensive training courses, there is truly a product and/or service for everyone. If you would like to arrange the transfer of the newest addition to your collection, just shoot us an email or call the store. If you have an interest in facilitating a NYS legal 'Private Sale Transfer', we offer this service exclusively through our annual VIP Membership. To learn more, click the link for information about the exclusive benefits of being an Adaptive Shooting Sports VIP Member.